New York Vet will adopt a format proven to be successful in Europe—that of CloserStill Media’s award-winning veterinary conferences operating in London, Paris, and Cologne. Offering high-quality, low-cost CE opportunities that include multiple tracks of sessions and workshops, this format gives attendees the opportunity to engage with leading visionaries in small animal medicine—all for a reasonable price. 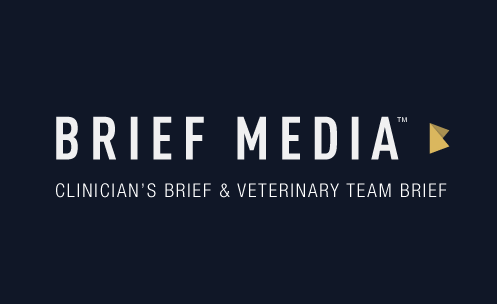 Brief Media is a trusted provider of educational information and point-of-care tools for small animal veterinary practitioners and their teams, and a valued resource for veterinary marketers. The Brief trio of peer-reviewed publications—Clinician’s Brief, Veterinary Team Brief, and Plumb’s Therapeutics Brief—offers readers an in-the-trenches perspective on small animal clinical topics, communication and leadership, and pharmacology with a steadfast focus on practical, real-world applications. The company’s latest endeavor—Plumb’s Veterinary Drugs—is the official online version of Plumb’s. With its rapid, nimble search capabilities and easy-to-use format (optimized for smartphones, tablets, or computers), Plumb’s Veterinary Drugs helps veterinarians quickly find the drug information they need, making this a must-have resource for all veterinary professionals. Feature photo “Empire State – New York City” by Sam Valadi, used under a Creative Commons license.